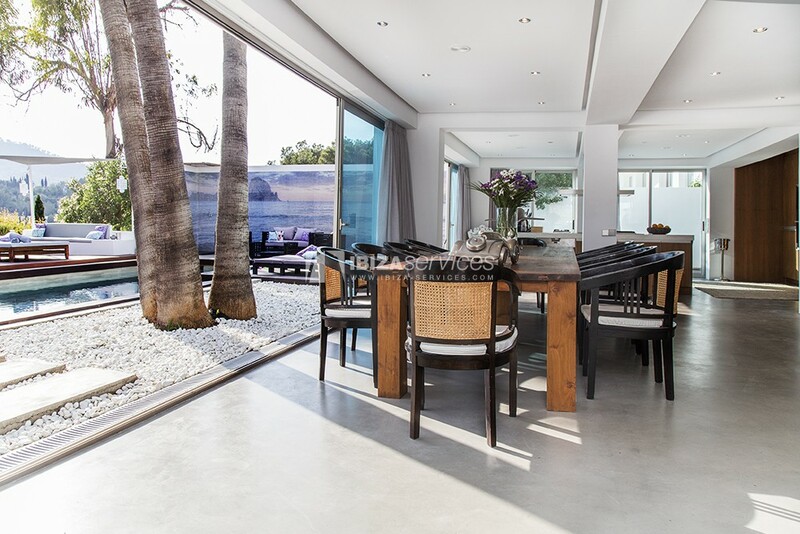 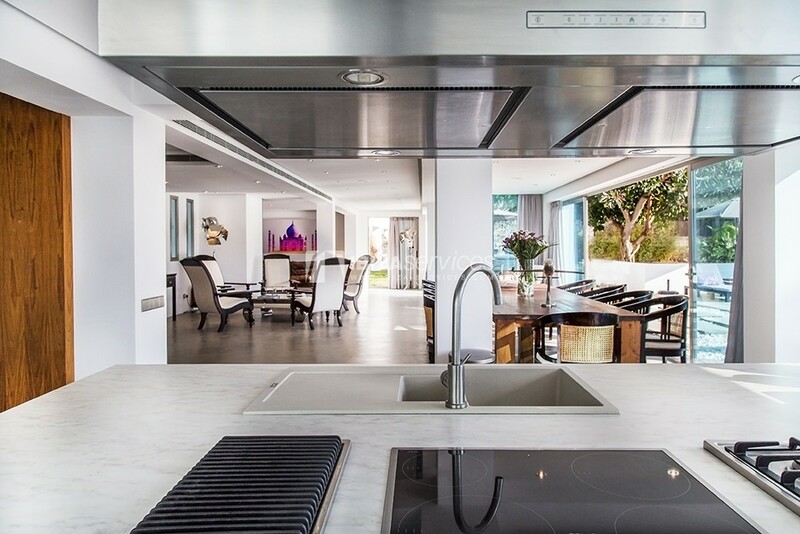 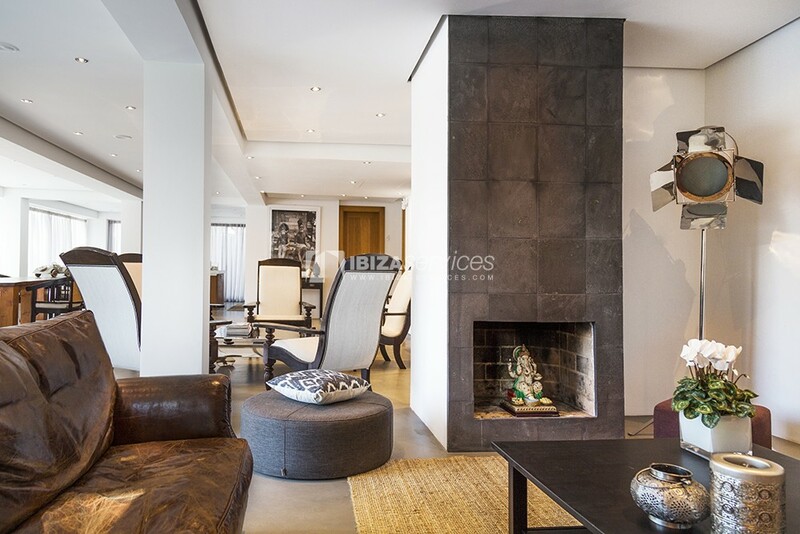 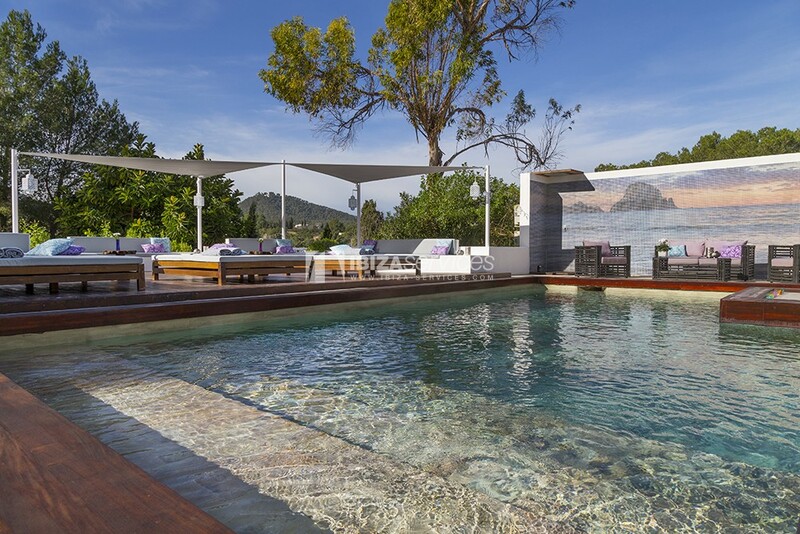 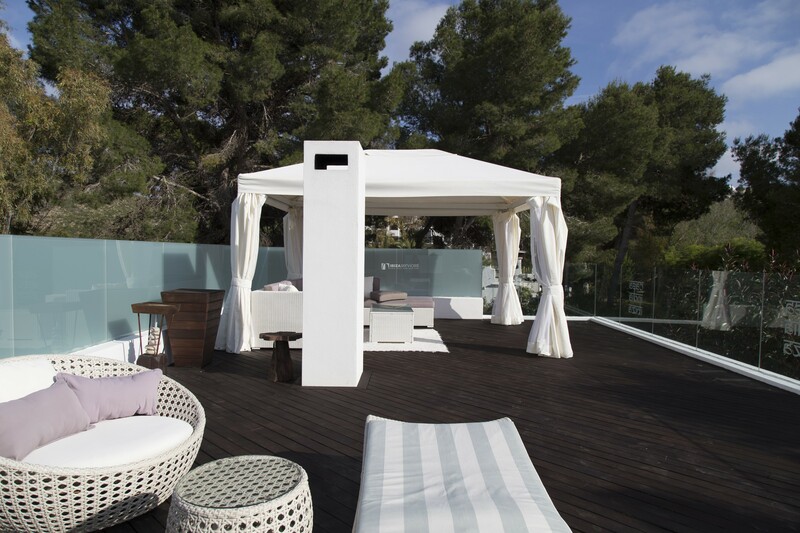 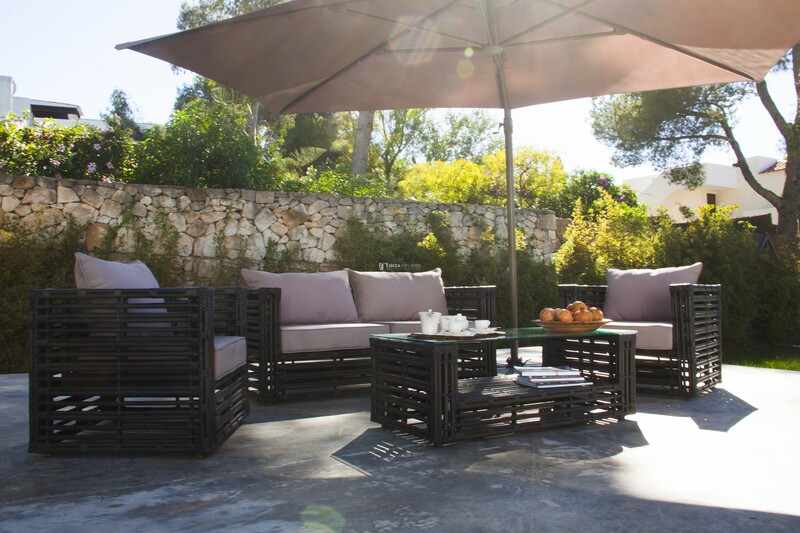 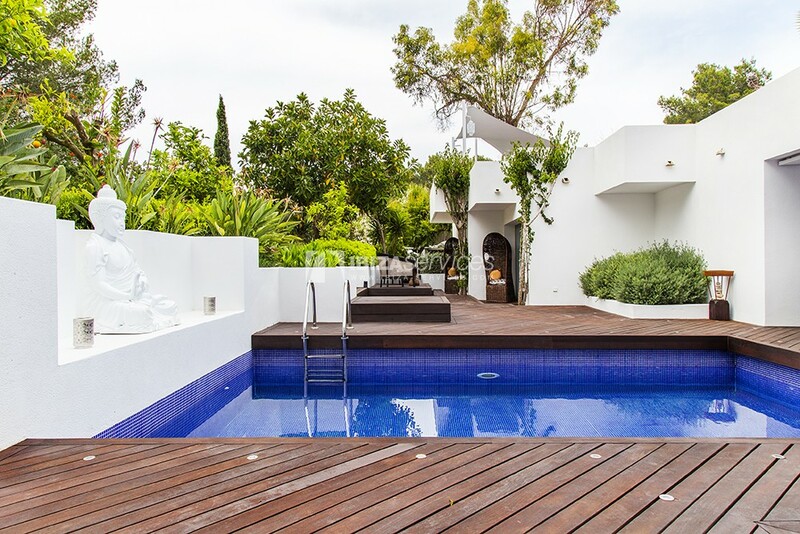 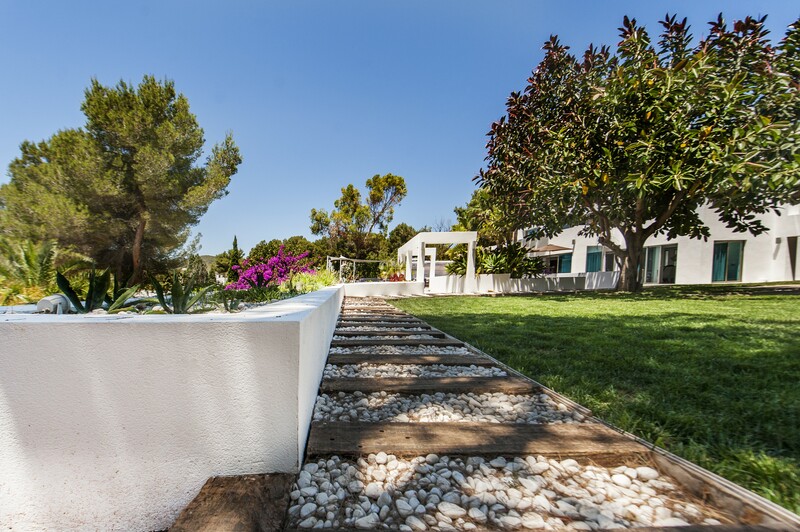 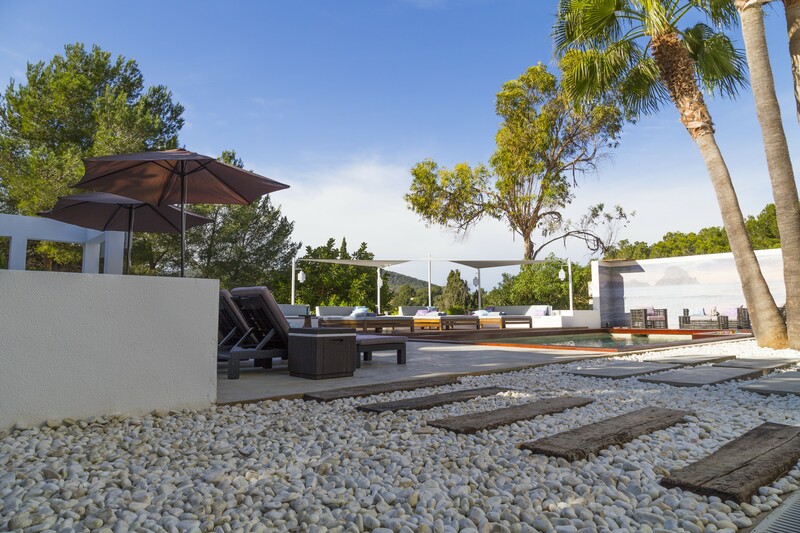 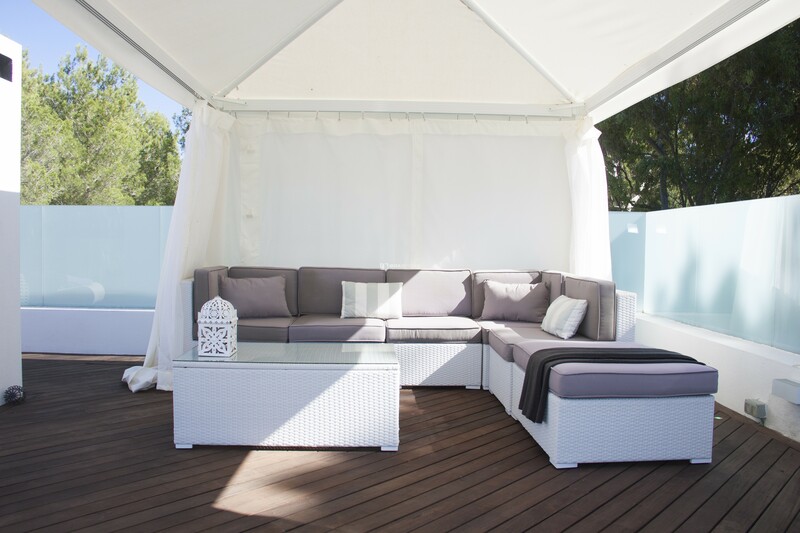 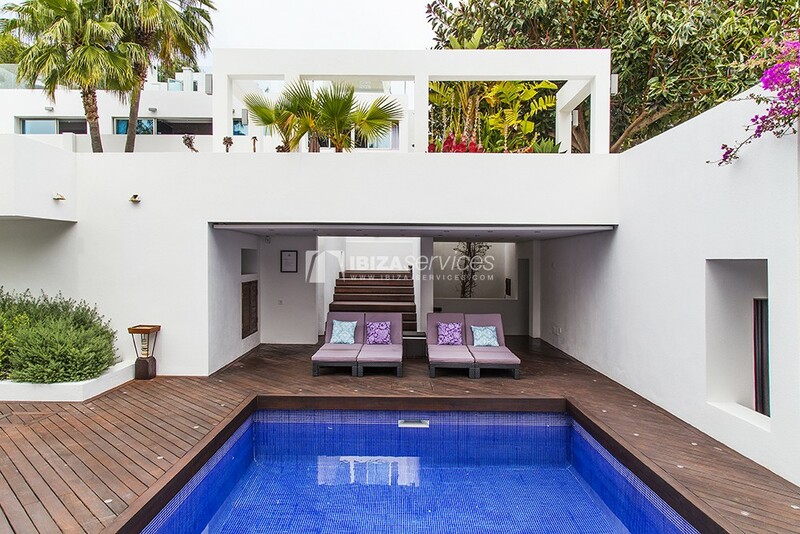 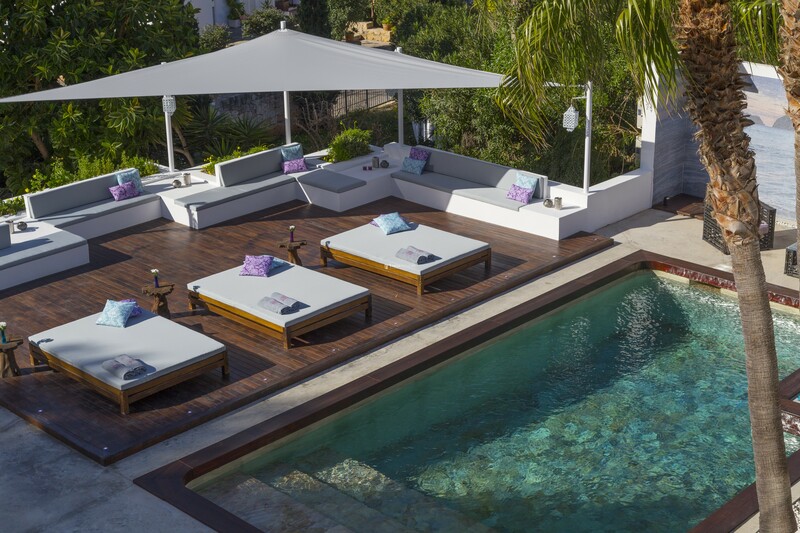 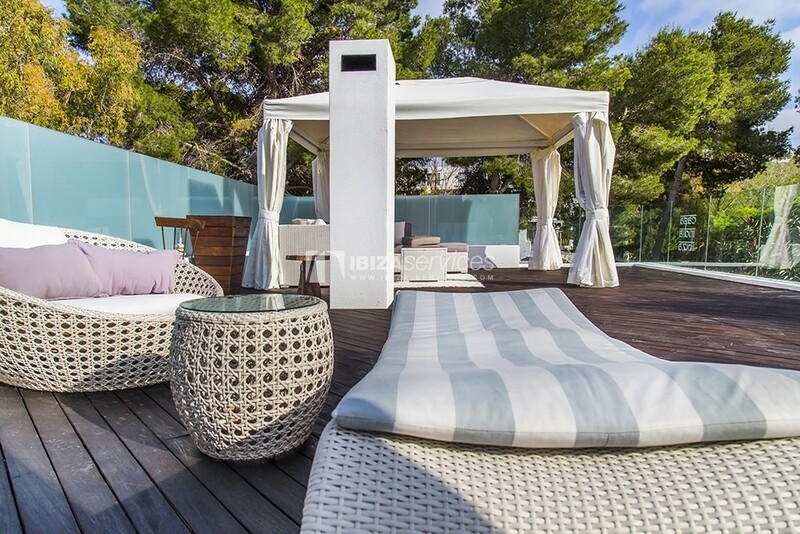 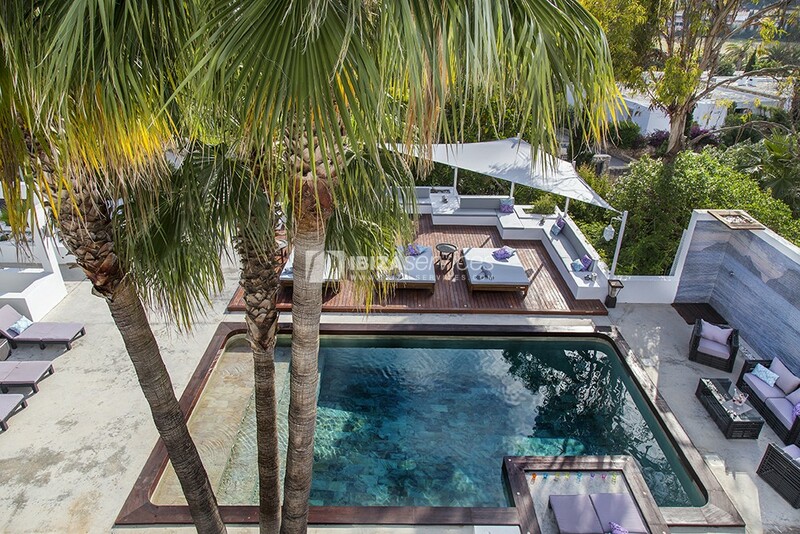 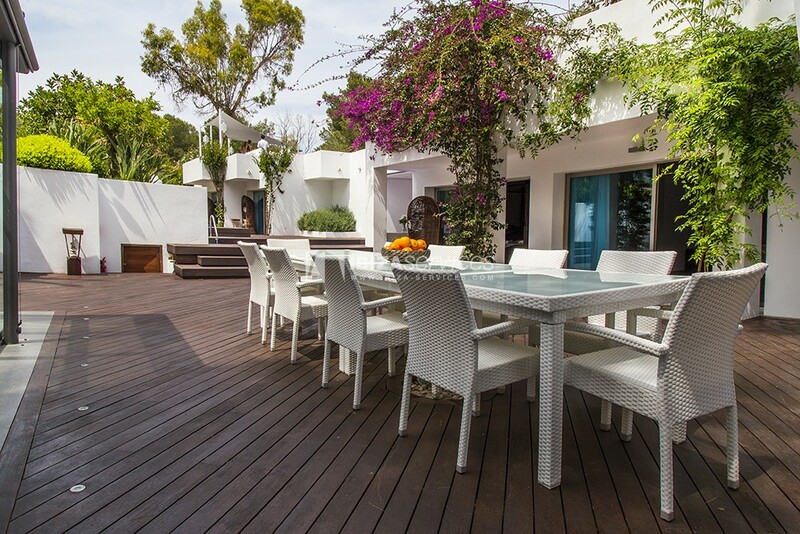 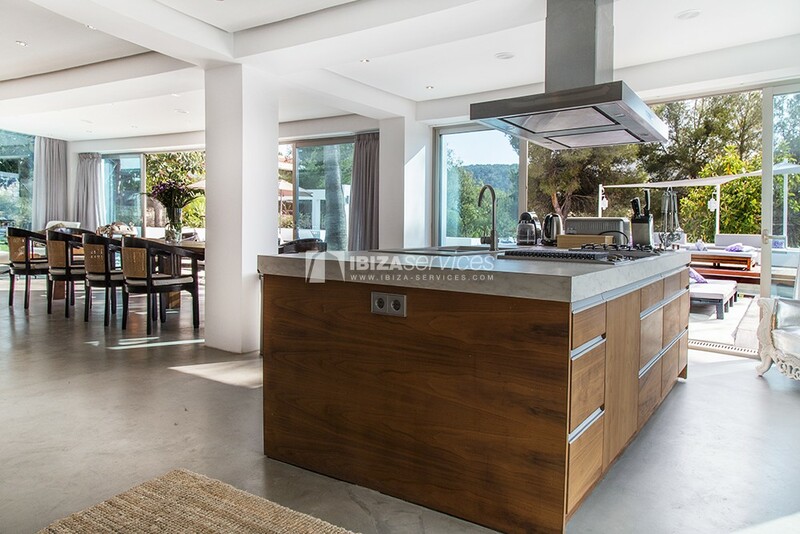 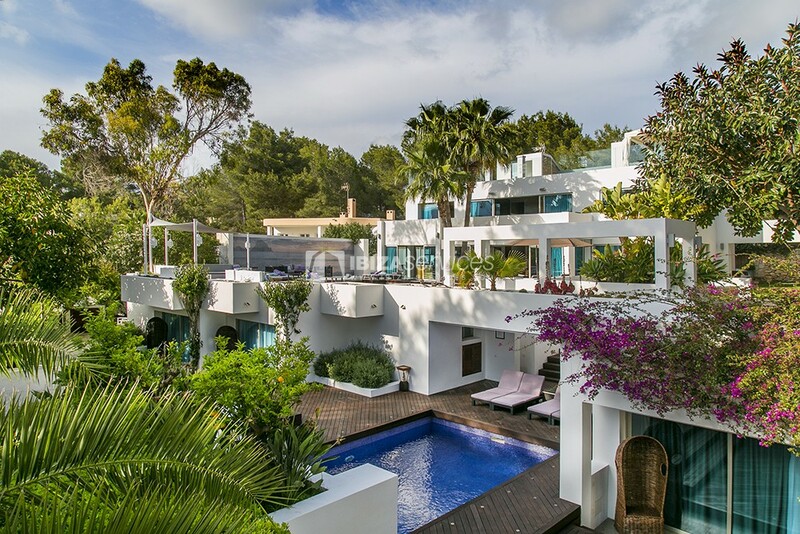 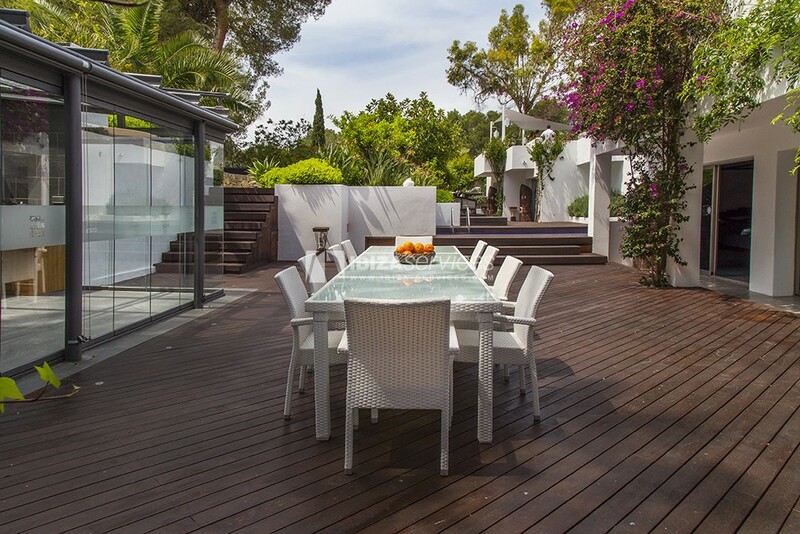 Villa is conveniently situated in the Roca Llisa area of the White Isle, close to Ibiza Town. 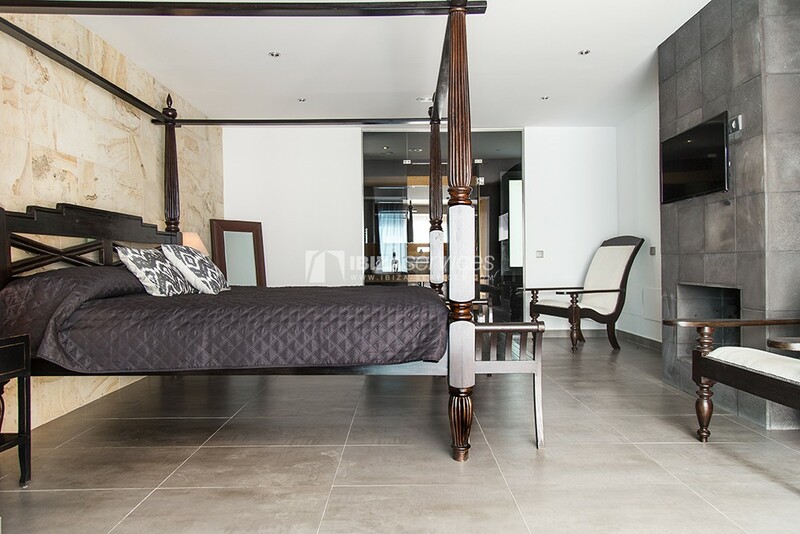 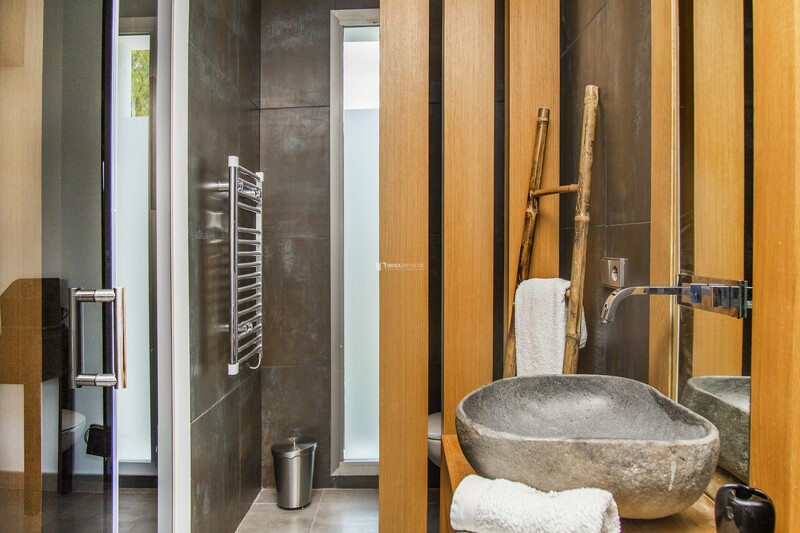 It has been lovingly restored and modernised to a high standard. 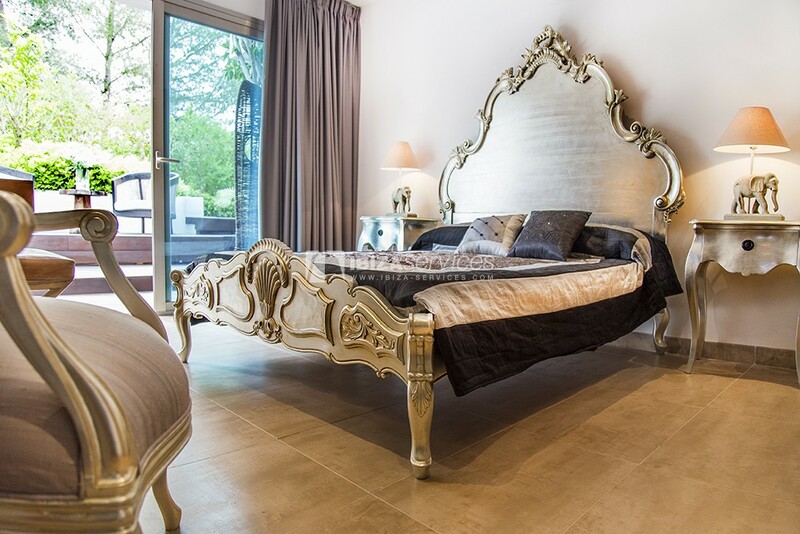 The villa provides premium quality holiday accommodation for a discerning clientele, and will comfortably accommodate 12 guests. 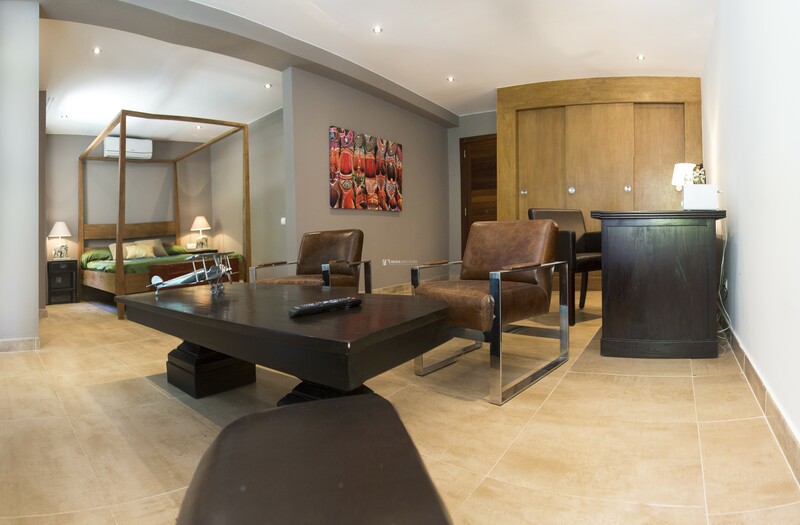 It is child friendly and features 6 double bedrooms complete with en-suite bathrooms. 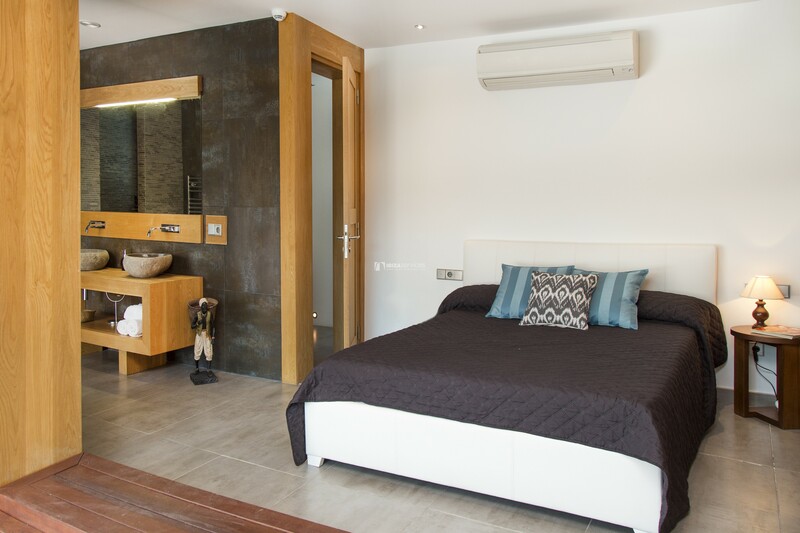 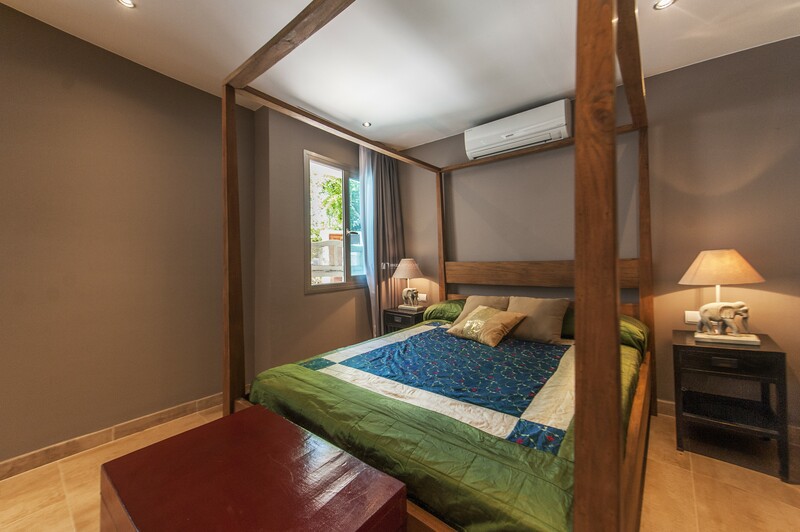 The villa is fully air conditioned and offers Wi-Fi access throughout, as well as iPod/iPhone docking stations and LCD televisions in each bedroom, with inclusive Sky satellite in the lounge. 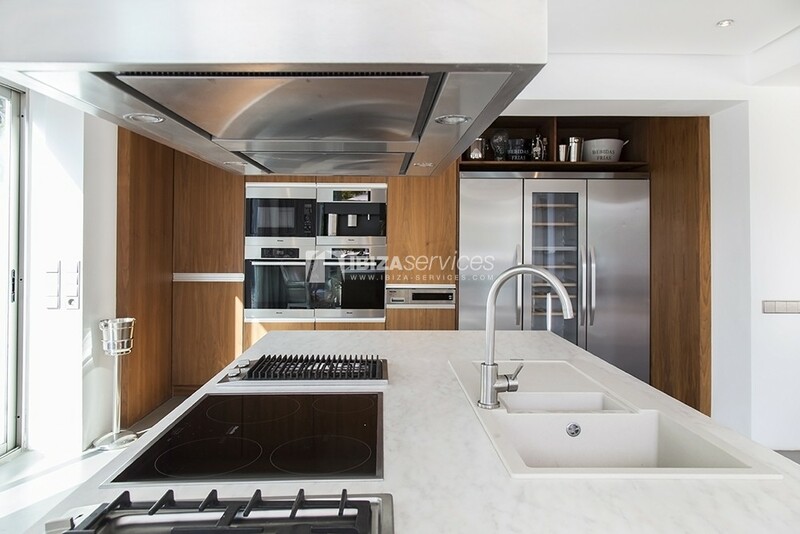 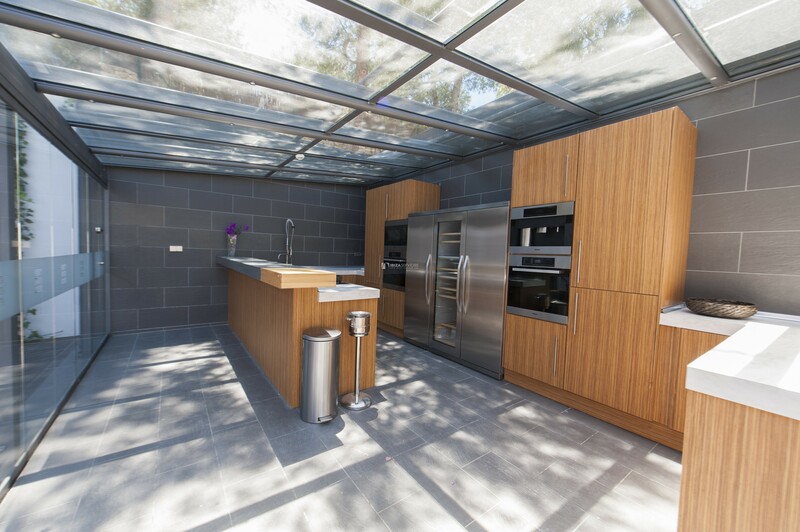 The spacious kitchens offers indoor & outdoor cooking and dining facilities via a large open-plan salon. 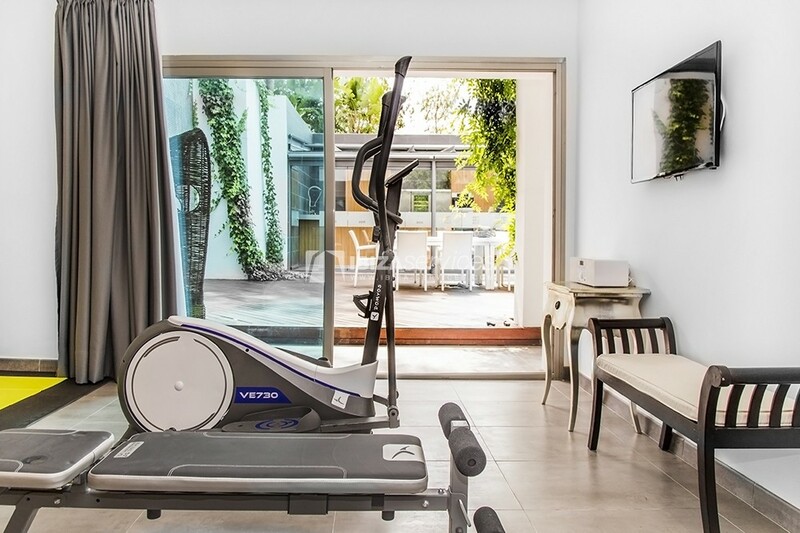 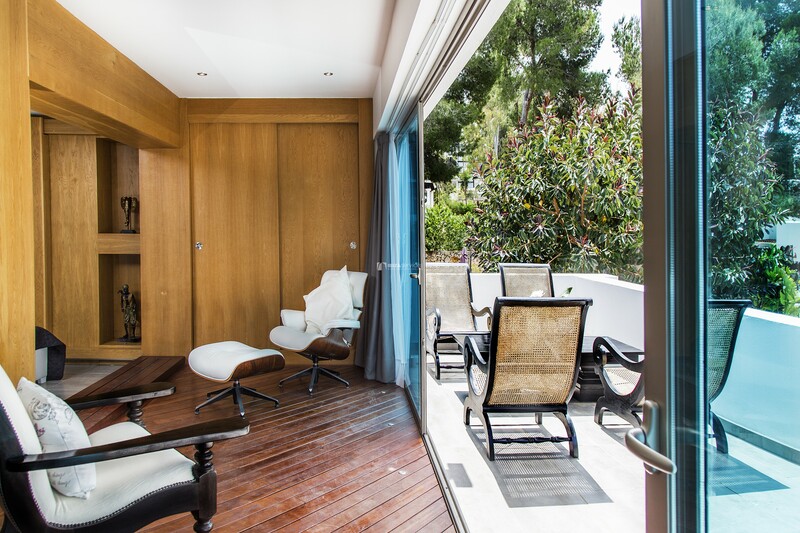 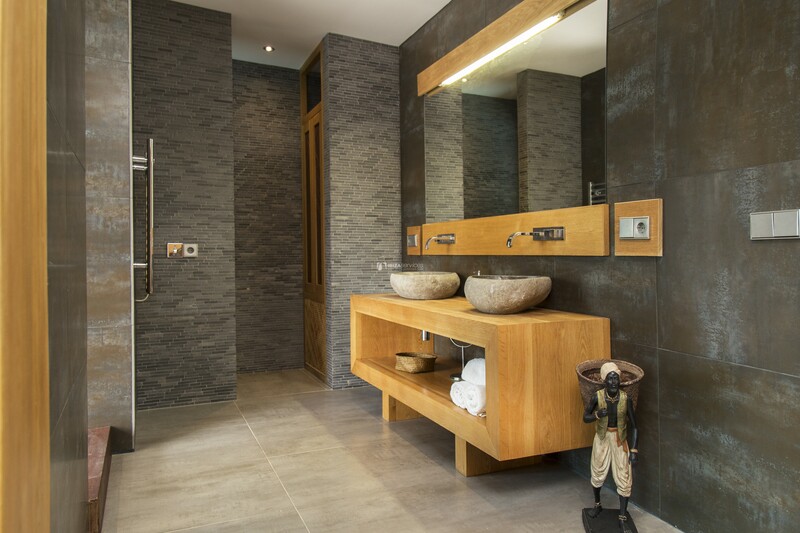 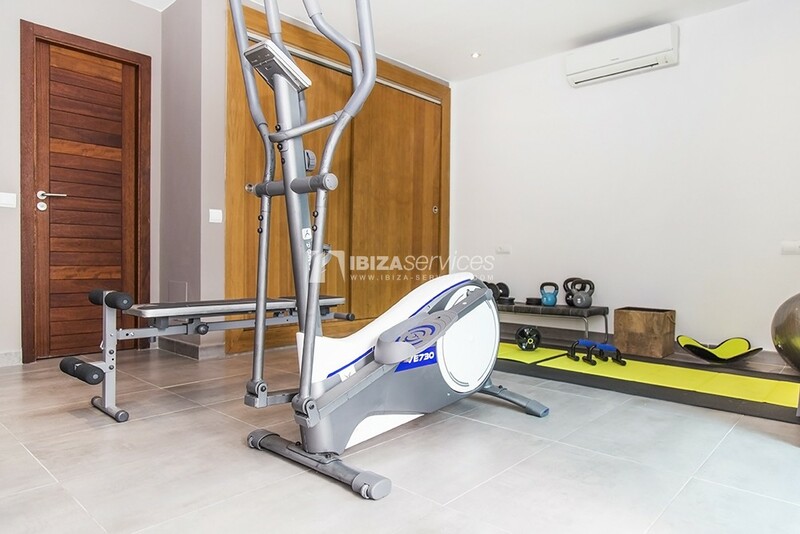 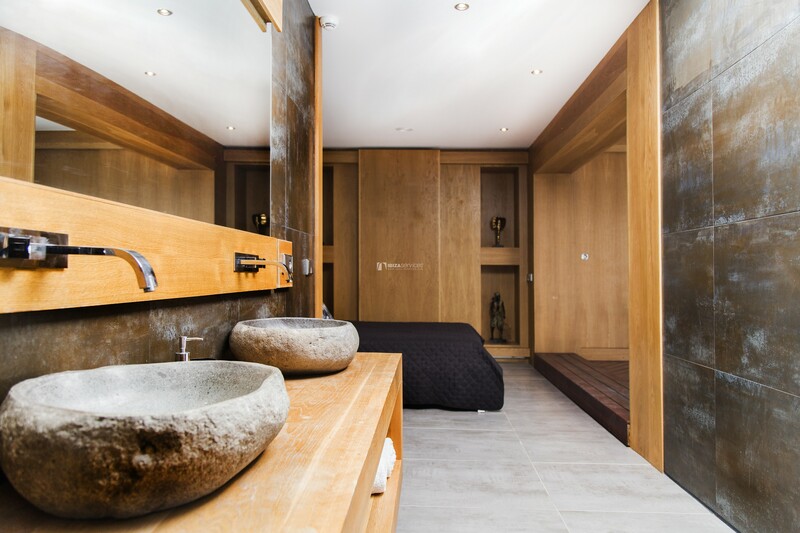 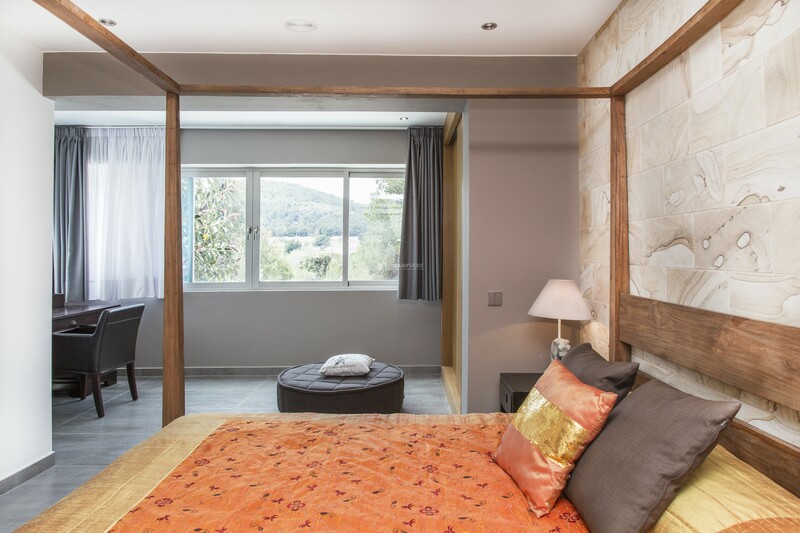 The villa also boasts a fitness-room and study, alongside 2 private swimming pools and an outdoor yoga-platform, sun terrace and manicured gardens.